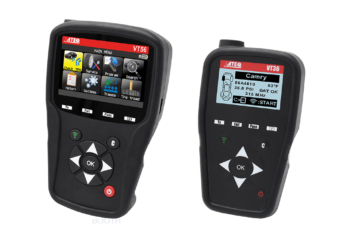 Livonia, Michigan: ATEQ is proud to announce the new March software release for the VT56 and VT36 for the America’s region. New “Placard value adjustment” feature available, coverage includes GM and Ford vehicles. 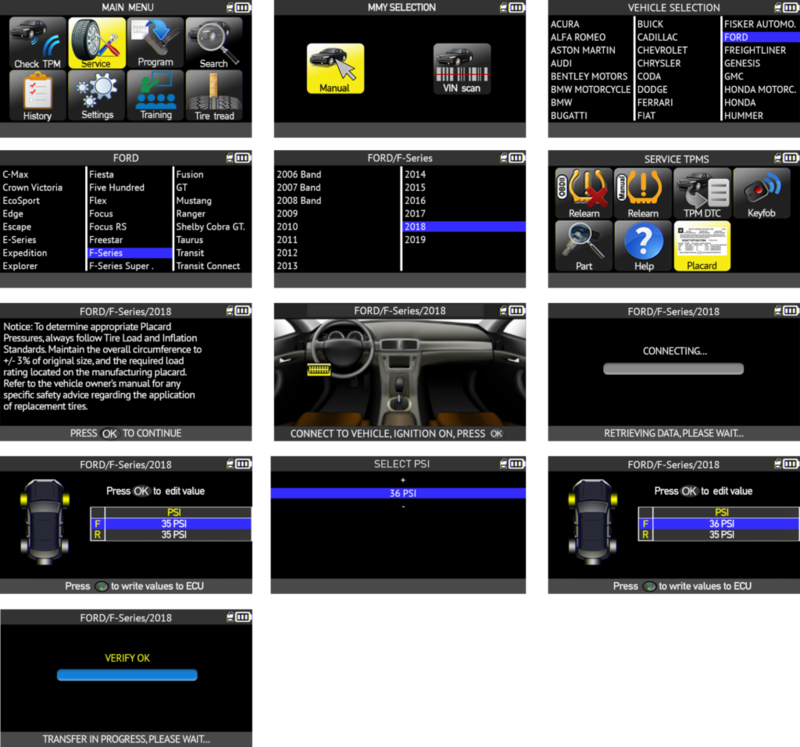 This function allows users to adjust the standard placard value settings by transferring the new values to the vehicle’s ECU using an OBD module. 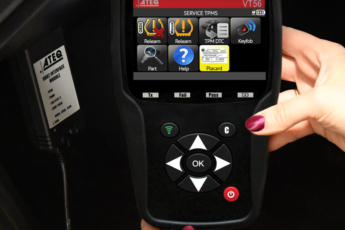 This is used when changing tires to a different load index than OE tires, such as off-road tires, oversized tires, or low profile tires, to maintain the TPMS system in operation and avoid the TPMS warning light to show. Alligator Sens.It, Schrader Performance EZ sensor, Huf IntelliSens, Huf ECS, Hamaton U-Pro Hybrid 2.0, Mobiletron, Orange Universal, BWD Standard QWIK sensor, NAPA QWIK, Steelman Select, PDQ Programmable, MAX T.O.T.A.L, Dynamic Pro-Select, and Dill 5001. 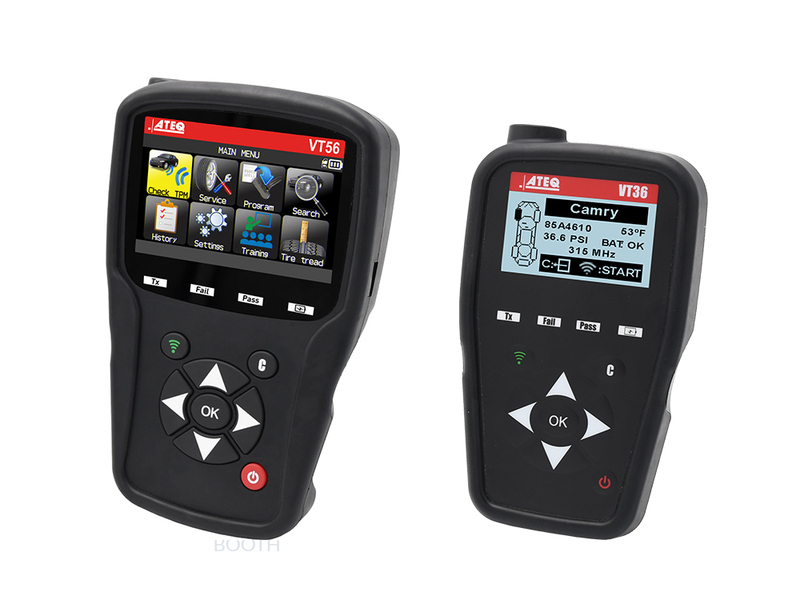 To view/download the technical release for other VT56 or VT46 brands for the America’s region, please contact sstevens@ateqtpmsusa.com.